Pictured left to right are Jon Esch, Char Esch, Thea Farrington, and Alicia Esch. Farrington will be mentoring Char and Alicia Esch throughout the next week as they prepare to take the reins as the new owners of Central Park Coffee. 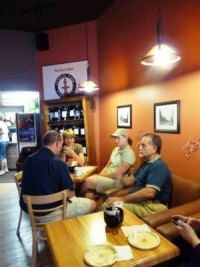 ​OWATONNA — It has been almost a year since Central Park Coffee in downtown Owatonna has hosted its popular Waffle Wednesday — where any waffle on the menu is only $5 — but under the direction of the new owners, that all changed this week. Esch and her mother, Char Esch, are the new owners of Central Park Coffee, taking over for Thea Farrington who had owned the business for the last two years. For the next week, the Esch women will be training with Farrington to make their transition into downtown business owners as smooth as possible. Esch and her husband, Jon Esch, own and run out of their home Therapy Equipment Services — a medical equipment repair and calibration company — and Covenant Properties — a rental property company. Char Esch said that they have always reared their six children to push themselves when it comes to work, and that if they have the heart for owning their own business that they should go for it. 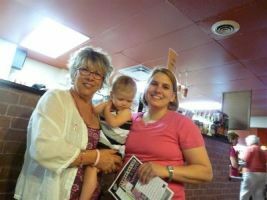 The Esch women have already been hard at work to learn all the ins and outs of the coffee shop. 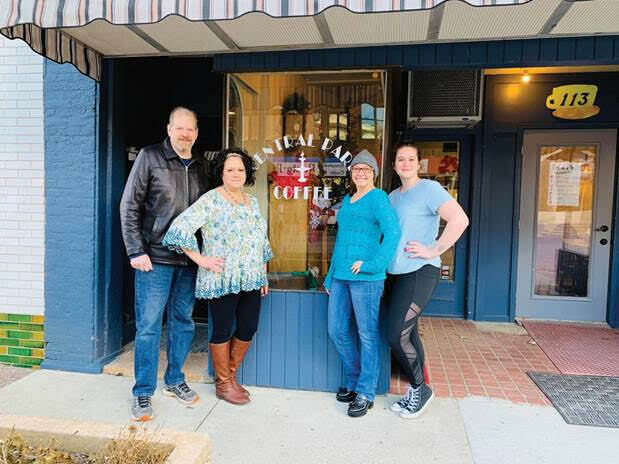 Char Esch stated that she is excited to have a better outlet for her creative side — specifically by experimenting with different soups to bring back the Soup of the Day — while Alicia Esch will be the face of the business and inject themselves into the community. Aside from bringing back the regular hours and daily specials, one of the new owners’ biggest goals is to expand the age demographic. 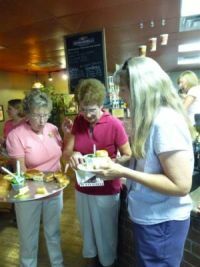 Both women asserted that they wanted Central Park Coffee to be the place downtown where everyone of all ages wants to be. For now, however, the priority is for the two women to learn as much as they can from Farrington, who has been working alongside them for the last several days. Char Esch admitted that having Farrington available to train them was an imperative part of the decision, knowing they would need her mentorship to get started on the right track. Farrrington is also the owner of Perfect Day Cakes, the downtown bakery that she recently closed due to ongoing health complications stemming from an accident early this year. After accepting that she could no longer run her downtown businesses, Farrington and her husband, Eric, agreed to put both Perfect Day Cakes and Central Park Coffee for sale and move to Wyoming for Eric’s new job. Though the decision has been an emotional one, Farrington is confident that the Esch women are the perfect match for the coffee shop. Helping put her mind at ease, Farrington said that seeing the overwhelming amount of support that the community has shown the new owners has been vital. ​While Farrington officially closed the bakery to the public on Nov. 17, she has a final wedding in December. If all goes as planned, she and her daughter will join her husband in Wyoming just after Christmas to start the New Year together. Farrington said that she is still in discussion with a potential buyer of the bakery, though it would no longer be under the Perfect Day Cakes name. It won’t be the last Owatonna will hear from Farrington, though. She is currently in the process of putting together a cookbook and encourages everyone to stayed tuned to the Perfect Day Cakes Facebook page, promising that there’s still more yet to come. 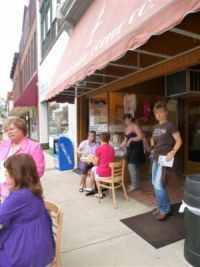 OWATONNA - Coffee and baked goods: two great tastes that taste great together. That’s the theory for Thea Farrington, owner of Perfect Day Cakes in downtown Owatonna, who announced Sunday on Facebook that the bakery was purchasing fellow downtown eatery Central Park Coffee. “[It’s] the synergy between the two of them: Perfect Day Cakes and baked goods, Central Park Coffee and coffee, they went together, and being able to combine orders [is a bonus],” she said Tuesday. ​Central Park Coffee owner Sue Pap, who had been seeking a buyer since 2015, said she was delighted when Farrington expressed interest in a deal. The two have worked together in the past — Central Park Coffee sold Farrington’s baked goods before she opened her own store further north on Cedar Avenue. Pap will remain in a managerial role with reduced hours, but will be spend more of her afternoons at her other job running the Bridge Street Subway store, and the rest of the Central Park staff are staying on as well. With Perfect Day currently closed through Jan. 18, Farrington is soaking up as much as she can about operating the coffee shop, but both she and Pap said they expect a smooth transition. “When Sue said she wanted to stay on here, that was the best case Eric [Thea’s husband] and I could have heard,” Farrington added. “And people love Sue.” Farrington plans to begin slowly introducing some of her Perfect Day baked goods onto the menu at Central Park, although the gourmet items will remain entirely at the Perfect Day storefront. She’s not currently planning on adding any other new menu items, but said she’s already working with Pap to plan regular events at the coffee shop. “The ladies are going to come up with ideas for what they want to do,” she said. And with two businesses now to handle, Farrington is looking to hire two or three additional workers to allow Perfect Day to increase its hours to Monday to Friday, 8 a.m. to 2 p.m., as well as cross-training staff to also work at the coffee shop. Pap has run Central Park Coffee for more than 10 years, while Perfect Day is approaching its fourth anniversary next month, and as Farrington sees it, the future is bright for both businesses in downtown Owatonna. OWATONNA — Pedestrians in downtown Owatonna might have noticed recently that a longtime local business is for sale, but the owner wants customers to know there’s no cause for alarm. “When you put a ‘for sale’ sign in your window, lots of people are very concerned. ‘Oh my gosh, someone is going out of business,’” said Sue Pap, owner of Central Park Coffee on Cedar Ave.
On the contrary, Pap says that business is fine for the coffee shop. The decision to put the business up for sale is not about any problems for the business, but rather an opportunity, she says. The time is ripe because the shop is on the cusp of receiving a state loan to pay for renovations, Pap said. 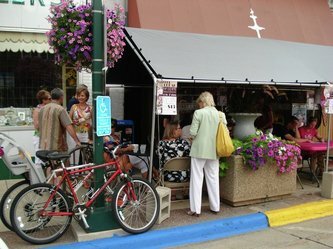 The Minnesota Small Cities grant program, funded through the state Department of Employment and Economic Development, offers $30,000 in deferred loans and could be matched by up to $30,000 more through several low-interest loans through the city’s Economic Development Authority, said Nancy Bokelmann, the city’s housing coordinator. Pap said the shop applied for the grant to address needed renovations and updates to the building, which is 150 years old. But it occurred to her as the shop went through the protracted application process that this is a prime moment for a leadership change as well. And while Pap, who turns 60 soon, isn’t feeling a burning need to step away, she says this is the right moment to start laying plans. She says Central Park Coffee would be a great entry point for people hoping to enter the restaurant and coffee shop industry. 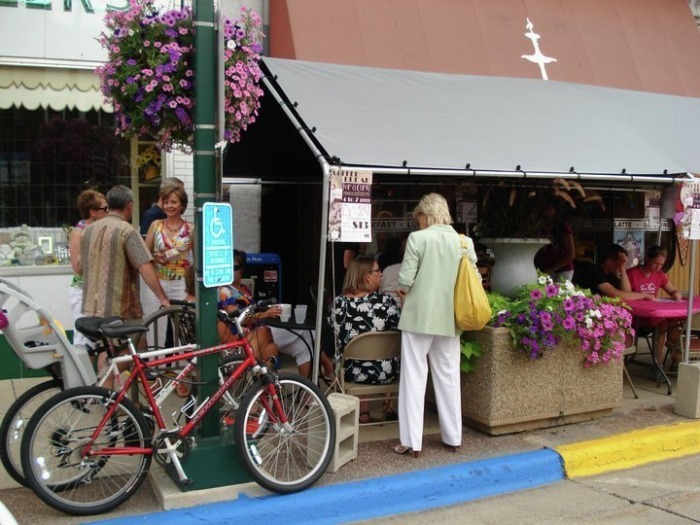 The renovations planned for this summer include a new brick facade, fresh exterior paint, new doors and windows, replacing the awning with a new flat sign, and repainting and remodeling inside as well. The Small Cities grant is available because the shop is in an area in need of a facelift, Bokelmann said. “The city has identified an area with blight conditions,” she said, describing the zone as the 100, 200 and 300 blocks of North Cedar Avenue and the 100 blocks of West Broadway and West Bridge Streets. Complicating the grant is the need to ensure the renovated building remains faithful to the historic nature of the downtown, which was listed to the National Register of Historic Places in Feburary. But that process is nearly done now, and Pap is seeking buyers interested in stepping in to shape the renovations with their own vision. In the meantime, she says it’s business as usual at Central Park Coffee. “It could take years to sell it, too, so we’re not going anywhere too quickly,” Pap said. 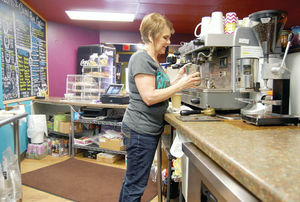 OWATONNA — In Central Park Coffee Co. owner Sue Pap’s line of work, she sees a lot of familiar faces. 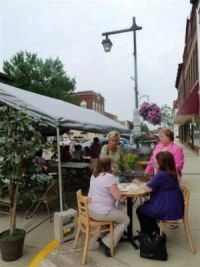 And being an Owatonna Area Chamber of Commerce and Tourism ambassador for the last 19 years has given her the opportunity to see new people and places within the community. And she’s been quite a few places and met quite a few new faces this past year. At the annual chamber meeting Friday night, Pap was named Ambassador of the Year. Pap said she is kind of embarrassed about being named Ambassador of the Year because she has received the recognition before. She has been named Ambassador of the Year about five times, Pap said. An ambassador is someone who served on the chamber board of directors, and Pap served in the early 1990s for three years. Once an ambassador, Pap said she earns points attending appearances and Business After Hours, wearing her green jacket, recruiting new members and reaching out to the community. At the end of the year, the ambassador with the most points receives the award. “I enjoy being out in the community and enjoy what the chamber does in the community and don’t want to miss anything,” Pap said. Pap said once an ambassador services 20 years, he or she becomes an emeritus, which means some of the duties are reduced. OWATONNA — When Tracy Frederick began her studies at an Los Angeles art school, she never thought she'd end up in Minnesota, or that many years later photography would be her expression of choice. In college, Frederick planned to become an architect, but during her research photography class final project, Frederick realized her love for structure, texture and buildings went beyond the designing of the scale model she had produced. "I realized I wasn’t that great of a drawer, so I designed a model or my final project and photographed it, and the photographs were my final project," she said. While living in LA gave Frederick instant access to photographing musicians and actors, she started working in the interior design field doing portfolio work and product shots for a custom design furniture company in West Hollywood. In her time out of the office, she started doing portraits, shooting family sessions and found she enjoyed that avenue of artistic expression. homes, take a photograph of their family and help curate it -- where do you want these photographs? I really enjoy that full circle aspect of it -- displaying as well as meeting the families and photographing them," Frederick said. In a move to Minnesota seven years ago, the Fredericks settled in Owatonna and Tracy has been working on an evolution of her work ever since. three-dimensional? I don’t know. How can I make it different? I'm constantly working that out," she said. "Right now photography is my medium of choice but that doesn’t mean it’s my only thing. I’m evolving." Her artistic inspiration comes not only from her time spent on the West Coast, but from global travels during her childhood and beyond. "Thankfully I had a family that traveled a lot. Not only was I living in Los Angeles, but traveling through Africa, Europe, Russia, Baltic Sea, Arctic Circle and taking helicopters to land formations women had never been to," she said. "My aunt and my parents and my grandparents have collected art all their lives so I grew up with it. I’ve always been surrounded with trying it and seeing new things and not being afraid of diversity." different" can be quite fun. "I really got the appreciation of different medias. From comic books to fashion...then moving here, I have land, agriculture and I just all of a sudden am thrown back into the simple things in life, so again, photography has really been my tool of being creative again because I can meet people and really go through this evolution now," she said. "I’m in a time in my life where how do I take all of what I’ve learned and all I know, and what do I do with it now?" 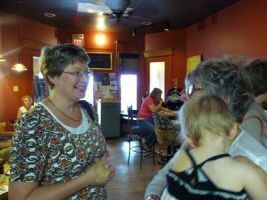 What Frederick hopes to do is use her connection as a barista at Sue Pap's Central Park Coffee and encourage other local artists to showcase their work at the downtown hot spot. 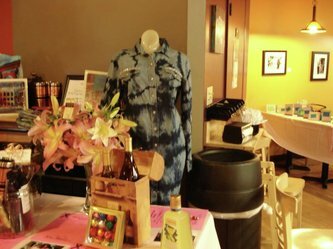 "Sue is really big into community and bringing people downtown, so with my interior sensibility and artist sensibility, I can bring to her coffee shop a celebration of local artists and expose the community to local atists while she allows artists to advertise their services," Frederick said. starting her own venture in canvas wrapped prints. 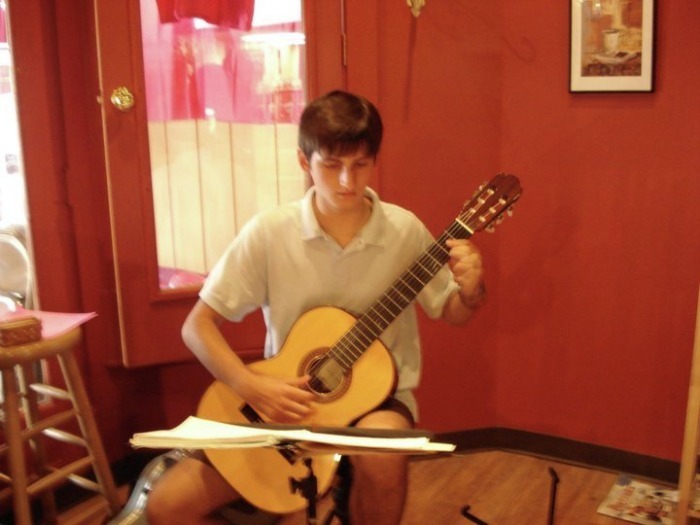 "We just want to use local artists in the community to help promote more artwork. I just want to keep building that network in," Frederick said. "Hopefully the work will attract people into the shop to check out the artwork and just keep pushing that out there and hopefully it will spread, but it will start here at Central Park." Pap said she is a fan of supporting local artists, and the benefits go beyond giving the artist a showplace. "It makes it fun for them to have someplace to show their art and it’s fun for our customers to have different things on the walls every couple months," Pap said. "This is our third year that we’ve done it. Once we’ve started with this, it’s just seemed to snowball." that goes beyond paintings or drawings -- she's also bringing in a cake artist's and a chocolatier's work. "With all the coffee shops I’ve been to, there’s always local artwork in there and it’s kind of a no-brainer that it’s a great thing to have artwork on the walls," she said. 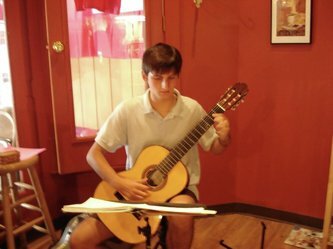 Any local artists interested in more information about showing his or her work at Central Park Coffee can call Tracy at 507-451-4242. A fundraiser was hosted on July 29, 2010 for Lynn Johnson and her Twin Peaks team. The team raised money for the 3 Day Susan G. Komen Breast Cancer Walk. Guests enjoyed drinks, food and entertainment. A silent auction was also held. Each team member has to raise $2,300 to participate in the walk. Thanks to all those for attending. 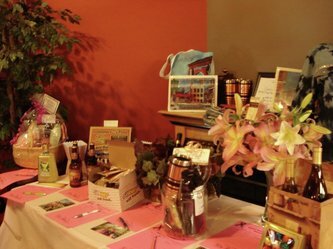 If you're interested in hosting an event at Central Park Coffee, give us a call at 507-451-4242. 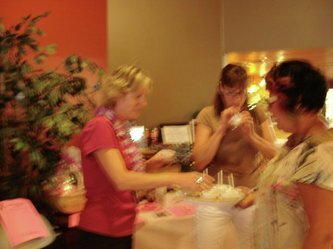 When I made the decision to participate in the 2009 Breast Cancer 3-Day walk, I had no idea of the outpouring of emotional support and financial resources that would come my way. This remarkable community has responded in ways that leave me speechless. I have simply run out of ways to say thank you, so all I can do is say “Thank you for helping me to attain my goal.” I can’t show enough gratitude to Central Park Coffee Company, and specifically Sue Pap, her business partner Pete, and her hard-working employees, to thank them for the incredible fund-raising event of Aug. 6. The coffee drinks and the food were fabulous. And to all of you who attended, and those who couldn’t who bought a ticket or sent a donation anyway, my heart is full of thankfulness for each and every one of you. I also would like to thank all of the downtown merchants who pitched in their help and support, as well as Tri M Graphics, and the Owatonna People’s Press. And thank you to Matt Paley and Jessica Dant for their outstanding entertainment. Your generosity is overwhelming. I also thank my family and friends who have encouraged me every step of the way, and without whom none of this would be possible. I will carry each and every one of you with me as I walk the 60 miles on Aug. 21, 22, and 23. And I do it for all of us who have battled or are battling breast cancer, for there are far too many. All of the contributions I have received are in the name of all the “girls,” to eradicate breast cancer forever. 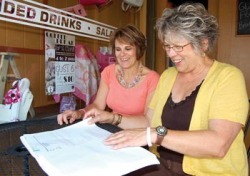 OWATONNA — 2008 was a big year for Norma Louis. She not only decided to close her store in downtown Owatonna — Banbury Cross — but she also decided she would use the extra time to take on the task of walking 60 miles in the Breast Cancer Three-Day in the Twin Cities. In February 2008, however, Louis hit an obstacle. She went in for a routine check-up, just as she began preparing for the three-day walk. The unexpected diagnosis stopped Louis in her tracks. She withdrew from the three-day walk, and in the place of physical training, she spent six weeks in radiation therapy and endured two surgeries. Louis said she is lucky, in that her doctors caught the cancer early. And now that she is a cancer survivor, there is nothing that can stop her from working to further the search for the cure. She credits medical professionals and cancer research for her successful treatment, and advises every woman to take precautions so they can catch breast cancer at its onset. Now, Louis has set out on her physical training and preparations for the event, which will have her walking about 20 miles each day through the Twin Cities, beside thousands of others, and making camp with the three-day community at night. “The big thing with the training is making sure your stamina is up,” said Louis. In order to participate in the walk, which will kick off on Friday, Aug. 21, at Southdale Mall in Edina, Louis also has to raise at least $2,300 in donations for the search for a cure. She said already she has seen businesses come forward with donations, as well as other people in the community. “I’m overwhelmed by the generosity of so many,” said Louis. In order to help her meet her goal, Louis is also coordinating a couple of fundraising events over the next few weeks. 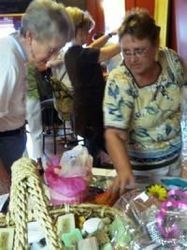 On Friday and Saturday, Louis will hold a garage sale at her home at 1510 Deer Trail Lane, which is open to the public. 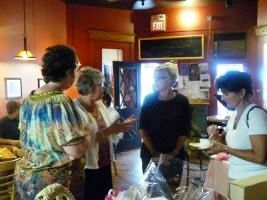 She is also working with Sue Pap, the owner of Central Park Coffee, to pull off a larger fundraiser next week. “Wine and beer tastings don’t fit everyone,” said Pap. 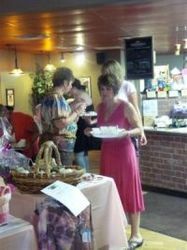 Instead, Central Park Coffee will host a Coffee Break for a Cure, which will invite the public to sample different products offered at the cafe. Coffee Break for a Cure will run from 4 p.m. to 7 p.m., Thursday, Aug. 6, and it will offer guests samples of everything from the coffees and lattes to teas, chai and smoothies. “It’s for a very good cause and it’s a good event,” said Pap. Tickets for Coffee Break for a Cure are $10, and they are available at the coffee shop or at the door on Aug. 6. Mona Moore rustled up a cashew-chicken sandwich in the kitchen at Central Park Coffee on Thursday, but she didn’t put it on any ordinary ciabatta — or even on a standard slice of whole wheat. She put the chicken mixture between two pieces of gluten-free bread, made from brown rice rather than wheat. The gluten-free diet is the latest to sweep the nation. But unlike the Atkins regimen or the South Beach Diet, the goal is not to lose weight but to control the symptoms of a serious illness called celiac disease. “Gluten is a protein component found in grains. It adds a stickiness, it holds them together,” said Jennifer Nelson, a registered dietitian at the Mayo Clinic in Rochester. Gluten is found in wheat, rye, barley and oats to some extent. Sounds innocuous, but for some people gluten is a matter of life and death. When a person with celiac disease ingests gliadin, it starts a reaction in their intestine that causes the villi, which absorb nutrients, to atrophy and die. "If you think of the inside of your intestine as a carpet, those are the villi," Nelson said. "When they go away the intestine becomes like a linoleum floor and very little can be absorbed." Symptoms vary widely. A person who can’t tolerate gluten may feel something like heartburn, gas and bloating after they eat gluten-laced foods. They may have diarrhea or they could become constipated. In more serious stages of celiac disease, the patient will become malnourished as their intestinal carpet thins out and they may lose a lot of weight. If untreated, celiac disease can be deadly. To diagnose celiac disease, there are some blood tests, Nelson said, but the "gold standard" is a small intestine biopsy. Once diagnosed, a gluten-free diet is the only treatment. Following a gluten-free regimen is easier said than done. “You think of bread, pasta and cereal, but when you dig down a significant number of foods have components of wheat, rye or barley as thickeners, stabilizers or additives,” Nelson said. Rooting out microscopic particles is difficult, but it’s not impossible. In the last five or 10 years, food makers have been more diligent about noting the presence of gluten on labels. And now restaurants are getting on board, though finding a gluten-free meal is still no cake walk. For this reason, implementing a gluten-free menu at Central Park Coffee took months of painstaking research, said owner Sue Pap. To help, Pap enlisted Candy Dombrock, a registered nurse at the Owatonna Clinic and a baker who specializes in gluten-free muffins and breads. “We found out that our chicken breasts have a minute amount of wheat in them to tenderize the meat,” Pap said. Together they took a gluten inventory of every ingredient the cafe uses. The cafe also bought another grill for the gluten-free offerings, because even trace amounts of gluten on a cooking utensil or cooking surface can make a person with celiac disease sick. Pap said she was partly motivated by her own interest in health and partly motivated by the state of the economy, which prompted her to look for a new niche to fill. Of the restaurants in Owatonna, few regularly offer gluten-free options, though many will bust out their ingredient list to find foods that lack gluten. Timberlodge has a gluten-free menu, and Godfather’s Pizza is developing one but it will only be available in Rochester outlets for the short-term. Silvan Durben hands Central Park Coffee employees Mona Moore and Amy Rieck the prize: $50 in Owatonna Business Partnership bucks. 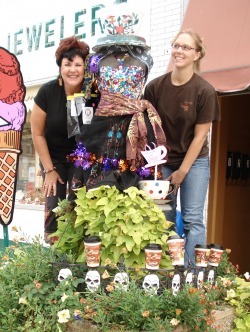 Central Park Coffee won the 2008 Business Owners Scarecrow Contest with their inventive scarecrow, which featured a steaming coffee cup head. The competition was stiff this year, said Durban, who judged the event. There were 10 contestants, double that of last year, said Harvest Fest Committee Co-Chair Laura Resler. At the beginning of December Sue Pap was merely a coffee drinker. Now she's a bona fide barista. 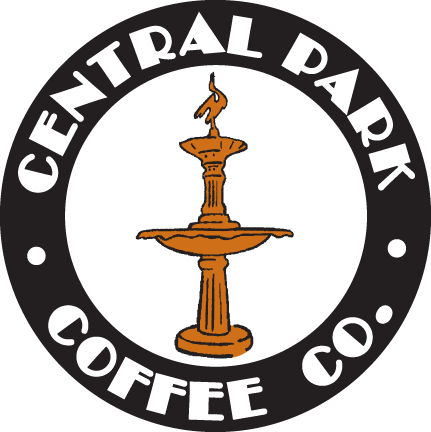 Pap bought Central Park Coffee on Nov. 30 from John and Diane Raymond. John Raymond has been teaching her the coffee business since then. "This is all new to me," Pap said. 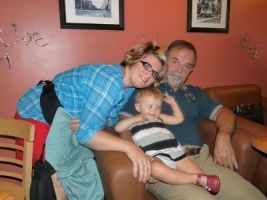 Pap will be the manager of the coffee shop, but Raymond will continue to work mornings at the downtown coffee shop. She owns the four Subway restaurants in Owatonna along with Peter Haukoos. Pap is the general manager of the sandwich shops. The newest Subway opened recently at Three Corners near Cabela's. Haukoos was originally just looking to buy the building that Central Park Coffee when Raymond asked him if he and Pap wanted to buy the business. Pap ended up purchasing Central Park Coffee and Haukoos bought the building. According to Pap, Raymond and his wife started the coffee shop as a retirement hobby, but it turned out to be more work than they expected. The Raymonds opened the coffee shop about three years ago. "The location is great and it has a lot of potential," Pap said. She plans to change several things at the shop, but the name will stay the same. In January, Pap plans to sell more food and extend the shop's hours. There is a small kitchen in the back of the shop where workers will make quiches, pastries and desserts. Central Park Coffee used to sell food around lunch, but Pap intends to serve food all day. With the extended hours Pap said she will probably hire more people, bringing the number of employees from five to as many as 10. The new owner plans to install a wireless Internet access point, allowing people with Wi-Fi enabled notebook computers to access the Internet. She also plans to put in new carpet, paint one of the walls and add some new furniture.